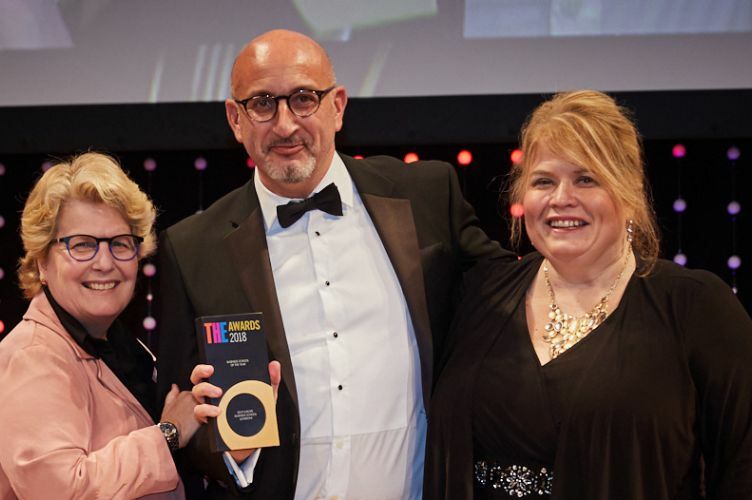 Chartered ABS member business school ESCP Europe (London) has won the Times Higher Education Business School of the Year Award 2018. The judging panel reported that ESCP Europe's commitment to innovation and building international links in the face of Brexit had particularly stood out. Particular praise was given to the school's "Rethinking Europe" events, which saw politicians from the UK and continental Europe put together with leading industry figures, and also to a three year programme that takes undergraduates across ESCP Europe's six European sites. The panel also took note of the various accredited programmes that ESCP Europe has launched to take full advantage of the new business and industrial landscape. These include a new MBA in international management, and a new Executive Master’s in automation and digital transformation, run in collaboration with the advanced robotics company Comau to help create executive graduates ready for the fourth industrial revolution. Professor Simon Mercado, Dean of ESCP Europe's London campus, said that "This award is testament to a bold educational strategy that harnesses Europe’s diversity as well as to the excellence of our staff, students and alumni. As a European school at the heart of the UK, we are honoured to receive such recognition and to celebrate the strength of our UK and European sectors." Congratulations to ESCP Europe's staff, students, and supporters for their evident hard work and dedication that lead to this award. More information about the award can be found at https://the-awards.co.uk/2018/en/page/home, and will be available in the print and online editions of the THE magazine.